This is a very basic reverb / mixer unit comprising of 5 mono input channels each with a gain control and a reverb gain (level) control. 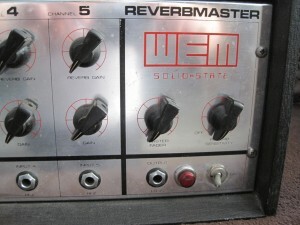 There is also a Master Fader and master Reverb Sensitivity contol. 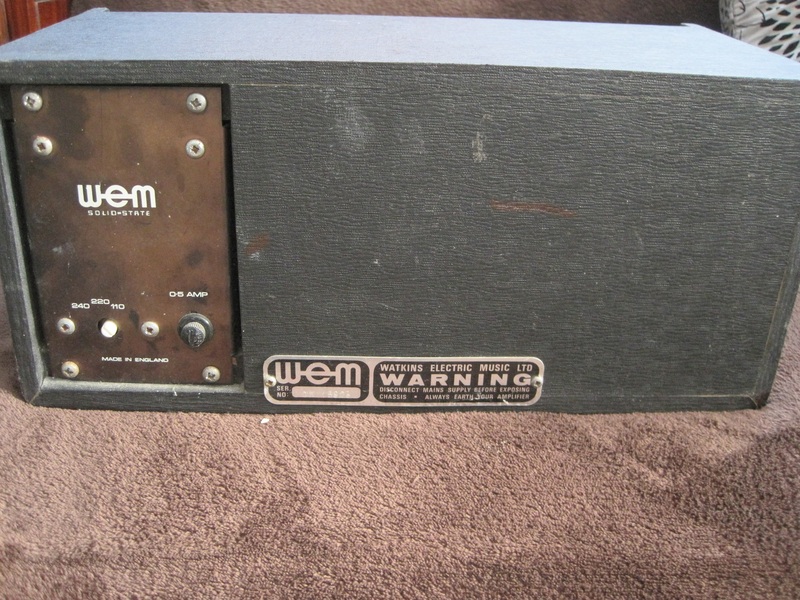 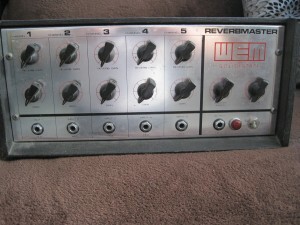 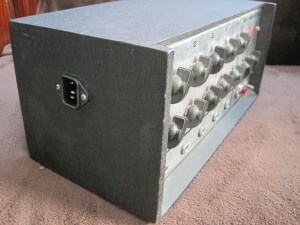 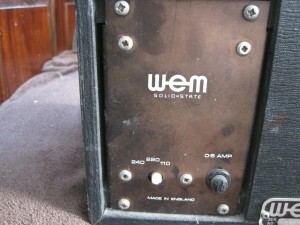 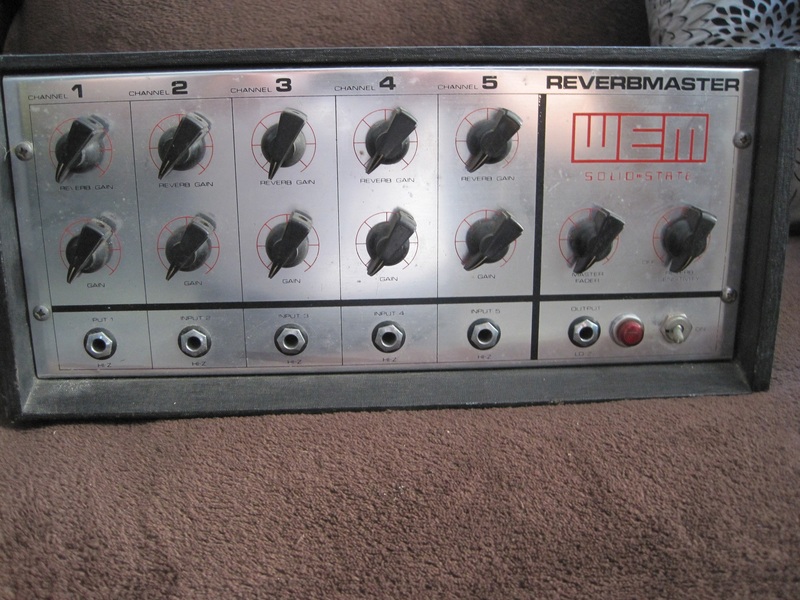 Acquired in June 2015, this Reverbmaster is a very rare item. I have not seen another one listed anywhere and there is no reference to it on the internet or in any of the WEM documentation that I have. Judging from the thin rexine covering of the casing and the original mains indicator (which I had to replace – it was the same as the indicator on my Audiomaster) I would guess this unit is probably from the late 1960s or early 1970s. 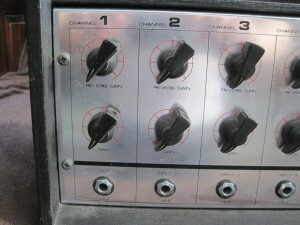 I suspect the knobs aren’t original.